4k00:24Flying over beautiful autumn forest. Rural road among yellow and red trees. Aerial view. Orange, red and yellow fall colors. 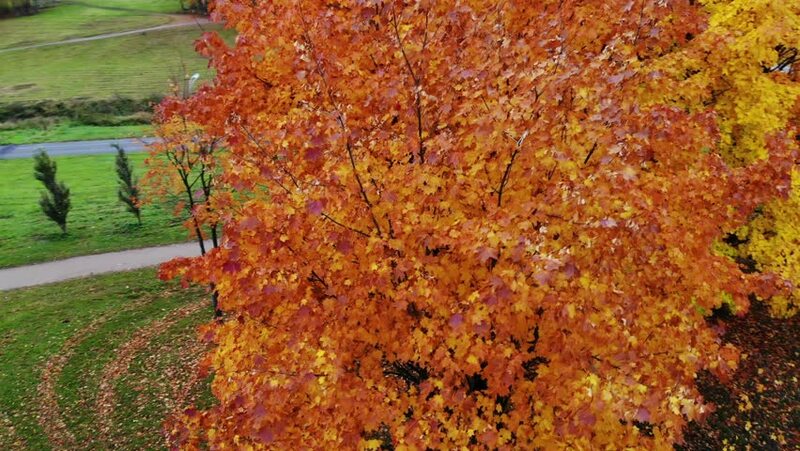 Colorful deciduous trees. Woodland in autumn. Vibrant colors. Rotating. hd00:17Autumn forest. Autumn Landscape. Real time. 4k00:15Aerial view. Directly above the deciduous forest in autumn. Top view of the Northern red oak grove. Red, yellow and green lush foliage on the trees. The camera moves up and rotates.